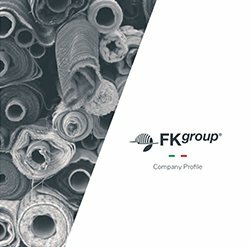 FKgroup has been a top reference company for analysis, planning and automation for the cutting room since 1961. 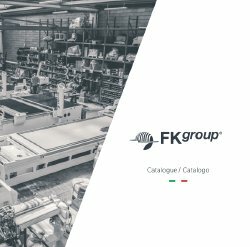 From Bergamo, heart of “Made in Italy” textile production, to all over the world, FKgroup carries its brand name with the most eminent Italian and International brands in textile production in all its segments, from Fashion to Home Textile, and from Automotive to Composites Fabrics. Fkgroup’s business philosophy is to change each environment into a new concept of production, a way of thinking the cutting room that FKgroup applies in care of the needs and in the best “tailor made” service. Fkgroup is a choice of a good quality service from every point of view, through excessive care in the selection of components and solutions made with creativity, all with the highest attention to customers. Award winning design automatic cutting system Conveyor type for Single Ply and lays up to 2.5cm compressed height. One machine, multiple functions: Versatile • Accurate • Fast • Efficient. Tecno Freccia is the ideal solution from small to medium productions able to cut: PVC,Fibreglass, Carbon Fibre, Medical rays protection fibres, Laminated Fabrics, Foam, Wadding, Rubber, Wall and Pipe Insulation, Polyurethane Fibre, Nylon, Kevlar. Ideal for following industries: Building construction, Automotive, Boating, Aeronautical, Furniture, Leisure Accessories,Defence, Protective Clothing. 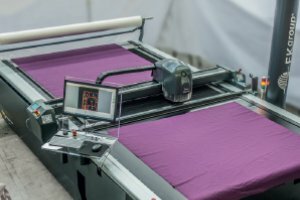 Brutus, heavy duty cutting unit ideal for technical fabrics but more especially for workwear, army uniforms and protective apparel. Particularly effective for cutting special materials like Kevlar, Cordura used for life protection around the world. 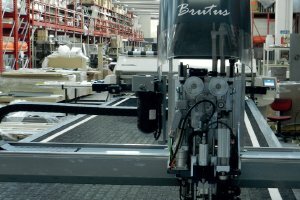 Brutus is a static automatic cutting machine which can be fitted with a spreading machine on board resulting in a Complete Cutting Room System capable to produce high quantity of cutwork in a limited floor area with one operator only.